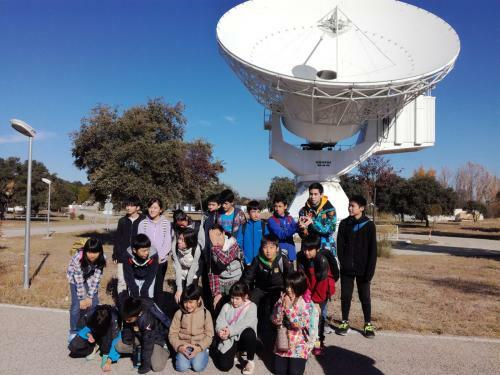 Students from the Japanese School of Madrid, from different grades of primary school and ESO came to ESAC in a special personalized visit. At the beginning of the visit, we talked about the collaboration between the European Space Agency (ESA) and the Japan Aerospace Exploration Agency (JAXA), for example, with the future mission Bepicolombo, in which two satellites will be launch together to study Mercury. One of those satellites, “Mercury Planetary Orbiter” it’s constructed by ESA and the other one, “Mercury Magnetosphere Orbiter” it’s constructed by JAXA. We also talked about the collaboration of those two agencies in the International Space Station where JAXA has the biggest single module of the station, the Kibo module. 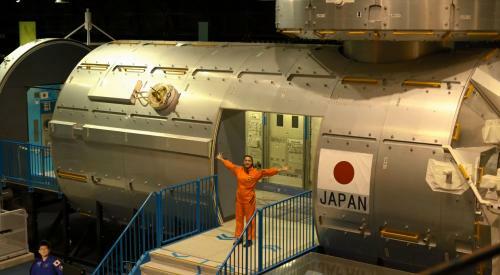 At Kibo multiple experiments are made, some of them on a platform outside the station exposed to vacuum and radiation. 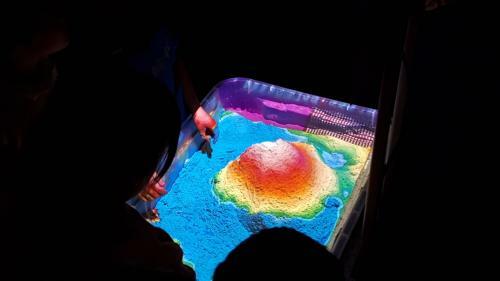 Next, the students enjoy a scientific experience using the augmented reality sandbox to study topography. Modeling with their own hands different surface features with a color code projected according to the heights in real time. They also watch different 360º projections about several worlds of our solar system. Finally, we made a tour around the installations of ESAC so they could learn about the scale models of important missions like Gaia, Rosetta, ISO, SoHO or Herschel. They also had a lot of interest on the 15m antenna present at ESAC. Thanks to all the voluntary students who translate to Japanese our explanations, this students made this visit a total success.